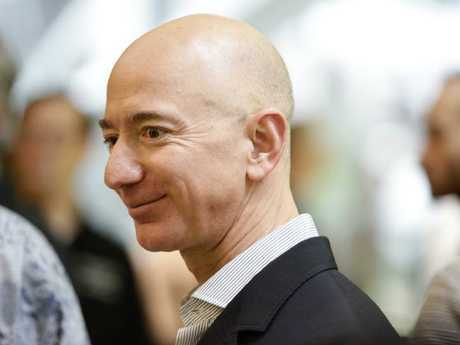 JEFF Bezos is the richest man in the world, so he can afford to part with a bit of cash in the name of loyalty. That's why the founder of e-commerce giant Amazon frequently gives some of his employees an unusual offer: take $6600 and never come back. 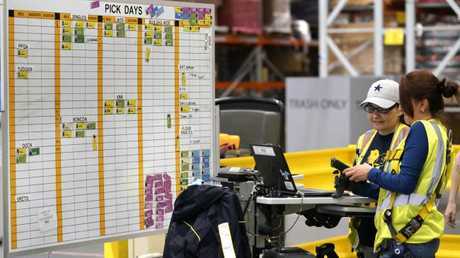 Once a year the company offers to pay full-time associates at Amazon fulfilment centres up to $US5000 to leave the company - there's just one catch. If you take the money and run, you can never work for Amazon again. Amazon has 75 fulfilment centres across the United States and Canada - which is basically what the company calls its warehouses and shipping centres - where more than 125,000 full-time employees work. These are the guys who get the annual loyalty-testing offer. It's not exactly the largest golden handshake being doled out but for some workers, taking the extra cash could be tempting. Nor does Amazon actually want people to accept the offer. When they receive the annual "pay to quit" ultimatum, the headline of the email reads: "Please Don't Take This Offer." Jeff Bezos outlined the reasoning behind the unusual practice in a letter to shareholders back in 2014. "We hope they don't take the offer; we want them to stay," he wrote. "Why do we make this offer? The goal is to encourage folks to take a moment and think about what they really want. In the long-run, an employee staying somewhere they don't want to be isn't healthy for the employee or the company." The idea actually originated from a shoe company called Zappos which Amazon acquired in 2009. The shoe company would extend the same offer to staff for just $US1000. After absorbing the company, Amazon soon appropriated the idea and has been doing it ever since. All with the expectation it will help weed out the disengaged employees. "We want people working at Amazon who want to be here," Amazon spokesperson Melanie Etches told CNBC this week. "In the long-term, staying somewhere you don't want to be isn't healthy for our employees or for the company." It's a novel idea, and it has the backing of workplace experts who say the Amazon handout could be saving the company money overall. While it may not make people work harder, the exercise can engender a sort of commitment to the workplace, according to Dr Michael Burchell, workplace culture expert and author of The Great Workplace: How to Build It, How to Keep It and Why It Matters. "It helps to frame the employer/employee bargain or that psychological contract," he told CNBC. "It's worth it to them (Amazon) financially in the long run." Disengaged employees can be hugely costly to a business. In recent years, Australia has been said to be in a somewhat of an employee disengagement crisis. A Gallup study of employee engagement in 2013 found that only 24 per cent of Australians are engaged with their job compared to 60 per cent who are not engaged. Another 16 per cent said they were actively disengaged. Disengaged employees are one of the biggest issues that your business can face, with Gallup estimating that actively disengaged employees cost Australian businesses between $33.5 billion and $42.1 billion per annum. Meanwhile research by the same organisation in the US found that companies with high levels of engagement have superior productivity and customer satisfaction, while profitability is up to 22 per cent higher. But for a company owned by a man worth $A174 billion, offering employees a relatively small bonus to quit might rub some people the wrong way - particularly disgruntled workers who may not see much opportunity elsewhere. 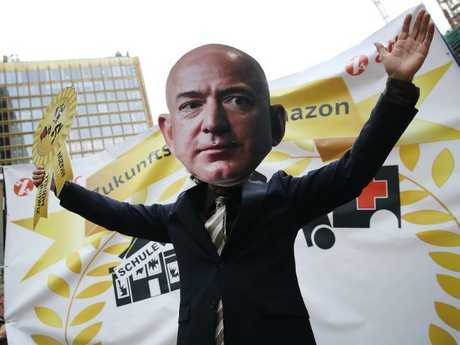 Last month several hundred Amazon warehouse workers from Germany, Poland and Italy protested outside a building in Berlin where inside Mr Bezos was scheduled to receive an award for innovation. The workers were claiming Amazon pays too little and offers too few benefits. The protest was followed by a similar demonstration last week by one of the UK's biggest trade unions who protested outside an Amazon event in Manchester over the way the retail giant treats its warehouse workers. It's all well and good to be paid to quit but most workers just want to be paid better to work.